The La Jolla Condos in Provo Utah are walking distance to BYU, 2 covered parking stalls and 2 storage closets, in great shape, BYU approved housing for females, or just make this your home, must have an appointment to show. This condo was built in 1990 and is located on University Avenue across the street from BYU campus. The La Jolla Condos in Provo Utah are BYU Approved. 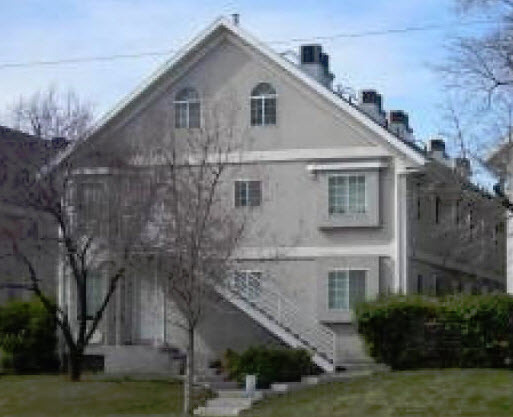 The La Jolla Condos in Provo Utah are located at 949 N University Ave, Provo, UT 84604. BYU has approved the La Jolla Condos for Females. La Jolla Condos in Provo Utah were built in 1990 and have 20 units. These condos were historically FHA approved. Please check with you lender for an update on the FHA status. This La Jolla condo has 850 square feet with 2 bedrooms and 2 bathrooms. This unit has underground covered parking for two cars. The HOA fee is $130 and covers grounds, exterior maintenance, snow removal, landscaping, exterior insurance and management of the building. I searched the MLS to find the historical sold data on the La Jolla Condos in Provo Utah. The MLS only goes back to 1996. These condos were built in 1990. The earliest recorded condo I can find was sold in 1996 for $116,000. In 1997 a few condos sold in the $95-$97k range. The sold prices climbed to $152,900 between 2000-2005. The sold prices then climbed up to $173,000. I have sold several La Jolla Condos in Provo Utah over the years. The top end corner units have a large loft and tend to sell for around $5k more than the top interior units. 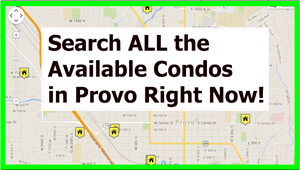 Are you looking to buy a condo in Provo Utah? Get a list of BYU or non-BYU condos for sale. Several of the condos around BYU have been approved. BYU typically approved a single building for men or women only. A complex can have various buildings that are female or male. However, BYU rules will not approved a single building both female and male. If you need help finding a BYU approved condo near campus contact Paul Teasdale. If you are looking to list a condo in Provo Utah contact Team Teasdale Realty. Paul Teasdale has been selling condos around BYU campus since 1995. Paul is very familiar with the condo market and will give you a quick analysis on your condos value. Prices are continually changing and it is good to compare your condo to the recently sold condos around BYU to determine the value. Condos closer to campus typically are worth more. You can buy a similar condo across town and it will be worth 10-20% less than one near BYU campus. BYU condos are always in demand and have excellent resale. If you have one of the La Jolla Condos in Provo Utah contact Team Teasdale Realty. Paul Teasdale has sold several of the La Jolla condos in the past few years. Sell a La Jolla Condo in Provo Utah. Are you looking to sell a La Jolla Condo? If you have a La Jolla Condo and would like my opinion on the value let me know. I will prepare a free 10 page color report comparing your condo to other condos in the area. I can estimate the time it will take to list and sell your La Jolla condo. I have sold several of these condos over the years. I have been selling condos around BYU since 1995.